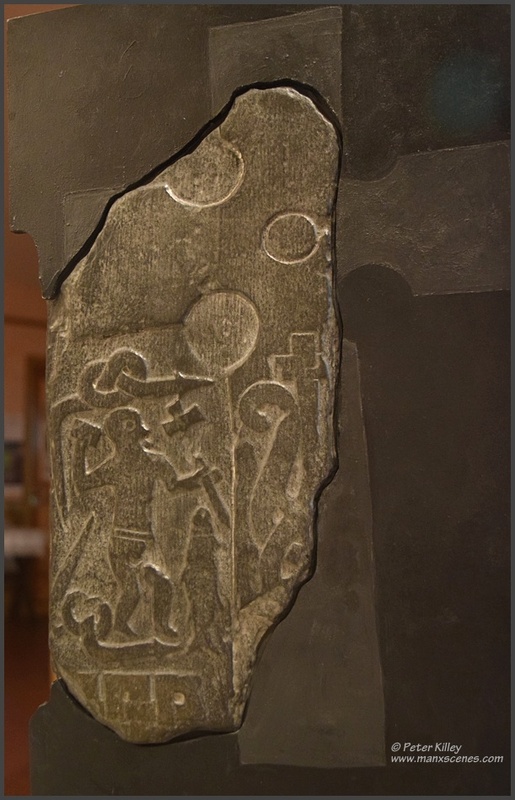 The transition in the Viking world of Pagan beliefs to the final embrace of Christianity is depicted on this stone. The Vikings brought pagan religion to shores already believing in Christianity and for a short time, both creeds co-existed. But eventually, Christianity won. 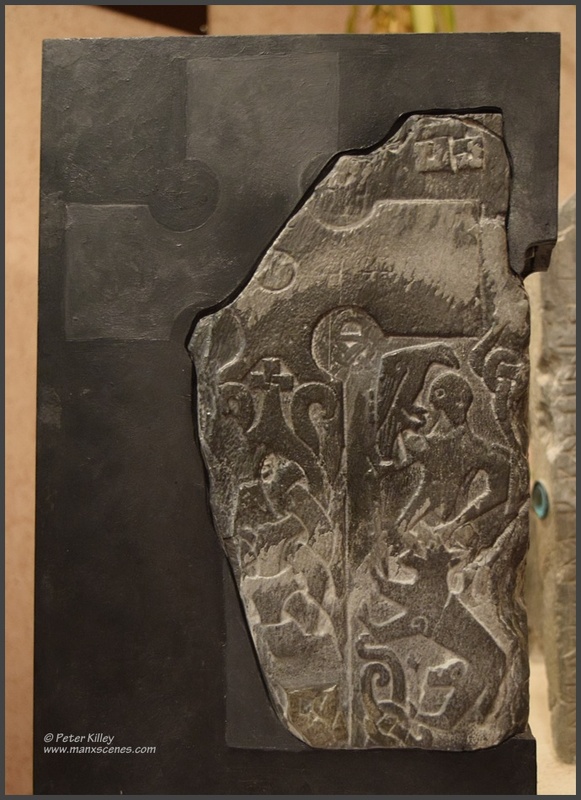 One side of this stone shows the Norse god Odin (recognised by the raven on his shoulder, and weaving his famous spear) being devoured by Fenris the wolf at the Battle of Ragnorok – the fight against evil and the end of the world for the Norse deities. The other side is filled with Christian symbolism – a figure with a book and a cross, by a fish and a defeated serpent. This stone is not only a ‘page-turn’ from pagan to Christian beliefs, it also has that rarest of things – the name of the person who was responsible. Down one side, written in ancient Norse runes, is the inscription ‘Thorwald raised this cross’.